Samvardhana Motherson Peguform (SMP), an automotive supplier, attaches great importance to cleanness, orderliness and safety. At its headquarters in Bötzingen, the subsidiary of the Indian Samvardhana Motherson Group produces high-quality interior and exterior modules for all leading automobile manufacturers. 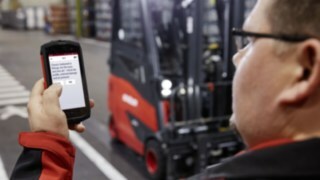 The Linde connect fleet management system makes a decisive contribution to order and safety in the warehouse. 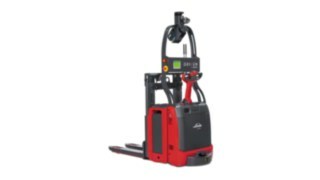 Linde Material Handling has equipped the entire SMP fleet with this intelligent solution. 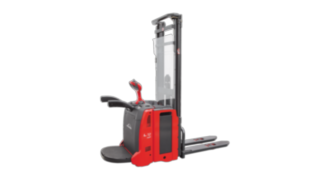 As a result, the company benefits from maximum transparency, a significantly reduced damage rate as well as improved capacity utilization and higher availability of material handling equipment. SMP, a leading expert for high-quality interior and exterior modules in the automotive industry, is based in the wine village of Bötzingen am Kaiserstuhl. Numerous well-known manufacturers trust in the work of SMP. The company, which was founded in 1959 under the name of Badische Plastikwerke, initially focused on the development and manufacture of plastic products for household use, such as plastic drums and boxes as well as beverage crates. In the 1970s, Opel had the first painted bumpers of the legendary Manta produced in Bötzingen - and thus laid the foundation for the further development of today's global automotive supplier. From then on, the company focused on the manufacture and development of plastic parts for the automotive market under the name Peguform. In 2011, Peguform was integrated into the Indian Samvardhana Motherson Group. With annual sales of 9.1 billion US dollars, the Group is one of the 26 largest suppliers in the world. In addition to Bötzingen, SMP also produces at five other locations in Germany. They are all located in the immediate vicinity of automotive manufacturers' production sites - as are the international plants in China, India, Mexico, Brazil and the USA. SMP employs a total of 14,000 people, including 1,600 at its headquarters. The specialist for cockpits, interior door panels, bumper modules and innovative plastic body parts produces in Bötzingen on an area of 132,000 square metres. A total of 71 Linde vehicles are in operation on the site, the majority of which are 39 counterbalanced trucks and 22 warehouse trucks. 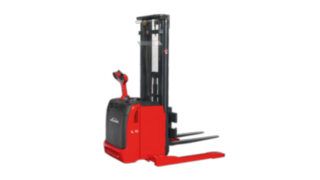 In addition, SMP also uses three reach trucks, two narrow aisle trucks and three tow tractors. In three-shift operation, they transport materials for production and finished components in special racks. 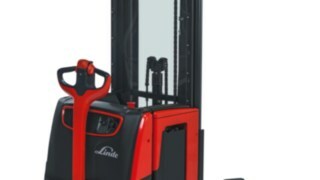 Other Linde vehicles are also used to transport heavy tools for plastic injection moulding from and to their place of use. 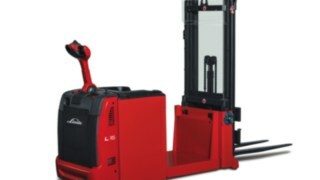 For six years now, SMP has been relying on industrial trucks from the materials handling specialist Linde. As fleet management, the company previously used a retroactively purchased system with a low level of performance. "Initially, the old system had to be retrofitted to our vehicles at great expense. 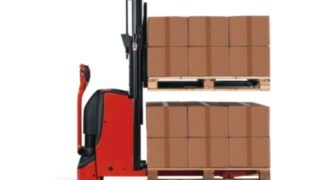 We were only able to allocate employees to the forklifts in the software, but overall we had little transparency and control," explains Marie-Luise Wolf, Deputy Head of Materials Management & Logistics and Group Manager Shipping at SMP. In case of problems with the system, the company was always dependent on the help of the external software supplier, who could not provide comprehensive support for the software. Therefore, SMP started to search for a modern solution with a much larger range of functions. "We wanted a system with particularly high transparency in the processes. 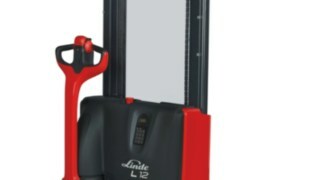 And with connect, Linde presented us with this solution," says Marie-Luise Wolf. 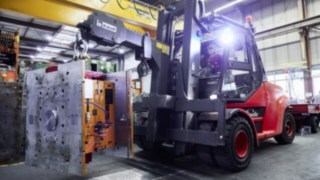 "We were able to start immediately, as Linde connect is installed in the vehicles directly ex works." The entire vehicle fleet is now integrated into the Linde fleet management system. explains Michael Hoffmeister, deputy group leader for shipping and shift supervisor for warehousing & transport at SMP. Marie-Luise Wolf (l.) and Michael Hoffmeister monitor, analyse and optimise the entire fleet at SMP with Linde connect. 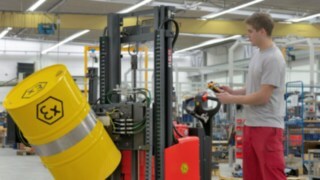 The hardware installed in the forklift and warehouse trucks of the automotive supplier collects usage data via sensors and the control system and forwards it to the connect:desk software via WLAN. In this data cockpit all data collected by the hardware converges and is clearly displayed. Marie-Luise Wolf and Michael Hoffmeister monitor, analyse and optimise the entire fleet. The special thing about this is that every fleet manager can create his or her own individual dashboard interface. At the same time, they only see the information for which they are authorized and which is relevant to their daily work. The function group connect: ac controls access to the vehicle fleet. 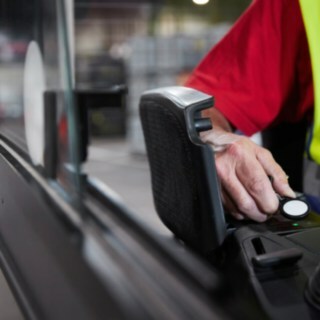 The SMP drivers log on directly to the truck with their RFID factory card. Access can be controlled according to person, driving licence and vehicle. For each driver, for example, the forklift licence and the legally prescribed annual safety instruction are digitally stored. If one of these documents is missing or no longer valid, the affected driver cannot put the vehicle into operation. The software takes over the control of the appointments and warns via the dashboard and alternatively also via e-mail before valid drive authorisations expire, for example. SMP uses the "pre-op check" app in order to comply with the prescribed vehicle visibility check before each start of the working day. The documentation of the safety check required in the guidelines of the German Statutory Accident Insurance (DGUV) is thus carried out without paper on a standard smartphone. The questions that the employee has to answer with Yes or No are, for example, tyre pressure and tread pattern, operating fluids, battery status and signs of external damage. The driver can immediately record visible defects by taking a photo. By means of digital queries, the company ensures that the vehicles can only be started if the "Pre-Operational Check" has been carried out successfully and no safety deficiencies have been identified as "critical" by SMP. 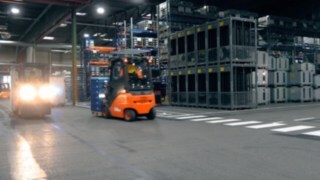 With connect: ac, SMP also controls driver-specific settings such as the maximum possible forward speed, thus increasing safety in production and logistics facilities. "For example, we only let our trainees drive at reduced speed," says Marie-Luise Wolf. "In addition, vehicle-specific throttling is also possible." 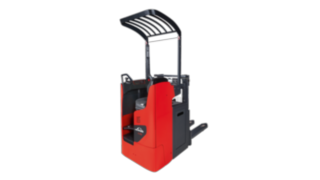 These are available, among other things, when transporting plastic injection moulds weighing up to 40 tons. 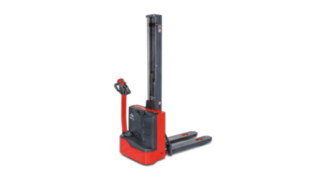 The lower speed ensures that the load on the trailers does not slip under any circumstances. "We have some thresholds and bumps on our site," explains Michael Hoffmeister. "It is particularly important not to drive too fast so that material and goods arrive at their destination without damage. 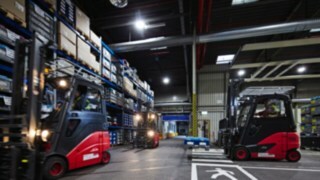 Above all, the transparency provided by Linde connect convinces those responsible at SMP. All drivers now drive the vehicles with a greater sense of responsibility. The monthly costs of damage to industrial trucks have fallen by around 60 percent. The fact that collisions and violent damage occur only very rarely at SMP today is due to the integrated shock detection function connect:dt (Crash Detection). Among other things, the time and intensity of shocks that can cause damage to the vehicle are recorded. 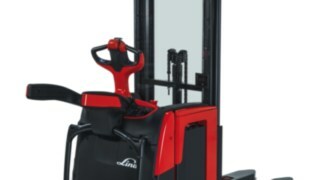 If excessive forces act on the forklift truck, it is set to a creep speed adjustable by SMP. At the same time, the connect:dt module provides a digital logbook in which all operating hours of the automotive supplier's vehicles are recorded and maintenance is initiated automatically. The classic management of the fleet is carried out at SMP with the function module connect:an (analysis). Marie-Luise Wolf and Michael Hoffmeister keep an eye on the availability and capacity utilization of their vehicles at all times. Optimisation potential with regard to vehicle use can be seen in diagrams, among other things. The basis for this is again the automatically transmitted vehicle data, such as travel and lift shares in daily operation. 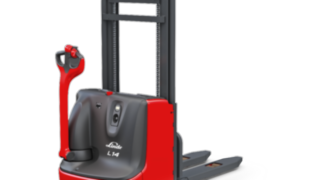 Those responsible at SMP are completely satisfied with the new Linde connect fleet management system. Marie-Luise Wolf explains: "The intuitive handling of the software is particularly well done, from adding new employees to monitoring the fleet. "What's more, our drivers only require very short familiarization phases in handling the system." In the future, SMP would like to make greater use of mobile devices in order to be able to call up the status of its fleet at any time, even when on the move.